Arguably, there are few people in the world who yearn for peace like Eritreans. However, peace has been always elusive. For centuries, the export of mayhem to the north, from parts of Ethiopia, had remained constant with adverse effects on Eritreans. Unfortunately, in that aspect, so far, Dr. Abiy hasn’t fared any better than his predecessors. For Eritreans, it was only during the Italian occupation of Eritrea that the Ethiopian expansionist ambitions were curbed. In the last years of the nineteenth-century* Eritreans had to choose the lesser evil, between two occupational forces: Ethiopian and Italian. Therefore, placed in such a precarious situation, they had to make a choice. Emperor Haile Selassie found a golden opportunity in the bi-polar world dominated by the USA and the Soviet Union when the two superpowers began to jump at each other’s throats immediately after WWII. 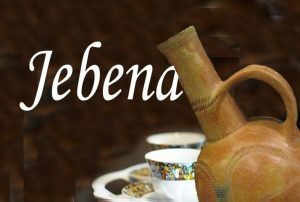 Throughout history, Eritreans had developed a dynamic model of coexistence where they accepted their diversity and lived in relative peace. Alas, the Ethiopian feudal lords had to use the only governing method they perfected: divide and rule, sparking religious strife, and regional conflicts. The flagrant aggression of the early 1960s initiated by Emperor Haile Selassie led to a bloody thirty-year war—the Derg had taken the baton after the first half of the thirty years and continued to pursue the same scorched earth policy that wreaked havoc in Eritrea. That phase of suffering ended with the defeat (DEFEAT) of the Derg in 1991. However, the elusive peace continued to stay out of reach as the ostensibly Ethnophile Isaias Afwerki took power. The Eritrean president has realized that Eritreans will not forgive him for the misery he caused them. Therefore, he became more reckless as he is incapable to reconcile with the Eritrean people or bring about reform. While we believe people can redeem themselves, Isaias cannot escape accountability for the crimes he committed in the last 40 years—and it is inconceivable he could have a place or a role in the future that Eritreans wish for. So, in trying to avoid the day of reckoning, he has accepted the lifeline PM Abiy has provided him. It is that mindset that Dr. Abiy is exploiting in an unrefined manner and is aggressing on Eritrean sovereignty. But he is not alone; he has collaborators, mainly the UAE rulers who see Eritrea as a stepping stone to expand their imperialist ambitions, evidently, with disastrous humanitarian consequences as exemplified by the war it is waging in Yemen. So far, PM Abiy’s disregard for the rights of Eritreans has been in direct contradictions to what he preaches to his people. He certainly is aware why thousands of youth are escaping from Eritrea. 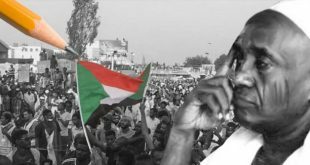 However, he cannot claim to be ignorant about Isaias violations because sooner or later, he has to deal with the inevitable change–and Eritreans will not forgive him for his complicity in prolonging their sufferings. In August 2018, Dr. Abiy met a UAE official and announced his plan to build an oil pipeline running from Assab (Eritrea) to Addis Ababa. In a flagrant disrespect for Eritrean sovereignty, the Ethiopian and the UAE announced the project totally ignoring the fact that the country has owners. 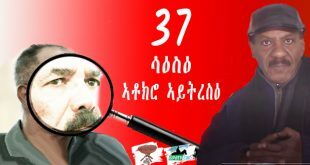 In June 2018, Dr. Abiy has his eyes on the Red Sea and is planning to establish an Ethiopian naval force from scratch. Leaving the territorial implications and rights of Eritreans aside, it’s doubtful if Ethiopia has the needed financial resources to bring Abiy’s dream into fruition. On January 21, 2019, PM Abiy made a similar announcement of his plans to build a railway line running from Massawa (Eritrea) to Ethiopia, again, totally ignoring the fact that Eritrea is a sovereignty country. He didn’t mention it even in passing. That can only mean that he doesn’t believe Eritreans should have a say in such undertakings, or, everything can be concluded with a dictator who acts on his own, on his whims and mood. Preposterously, in January 2019, the “peaceful PM” announced in Davos that he doesn’t think Eritrea, Somalia, Djibouti and Ethiopia need separate embassies to represent them in other countries, instead, he said, they could one embassy to represent four of them. Also, he said there is no need for four different armed forces to defend them separately, they can have one defense force. PM Abiy takes Eritrea as another Ethiopian Killil, a region, and all it needs is a local police force. 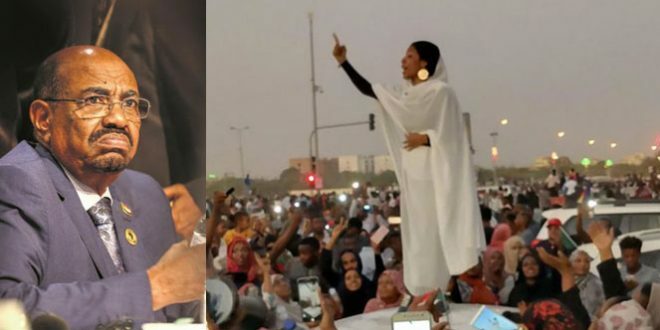 On February 2, 2019, in a speech in the Ethiopian parliament, PM Abiy stated, “Let alone Ethiopia breaking up, even the ones that have separated [Eritrea] will be returned. It’s only a matter of time. We’re only going to get bigger & stronger. I have no doubts about that.” It’s safe to conclude that the country he is so sure to return to the bosom of Ethiopia is Eritrea—it’s the only country that fought to regain its independence and break off the forced unity with Ethiopia. 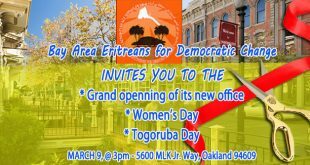 In the last few months, some Ethiopian elements and groups have been peddling a provocative map annexing Eritrea to Ethiopia. The map that promotes aggression on Eritrea has been tweeted by the Ethiopian embassy in the UK, which later issued a shy apology following a protest by outraged Eritreans that uncharacteristically including supporters of the Isaias regime. Remembering the loss incurred due to the war over the village of Badme. Incidentally, that war where about 100,000 lives were lost, was heated up over a map. Such provocations are being taken seriously. Unfortunately, the culprits are groups loyal to Haile Selassie and Derg, forces that Eritreans fought for decades to defeat, who has been rehabilitated by PM Abiy. The above lofty textbook ambitions are juicy for media consumption, but in reality, they are fairy tales, a feel-good statement aimed at creating a larger than life persona, idealistic, even when they are impractical and amateurish. 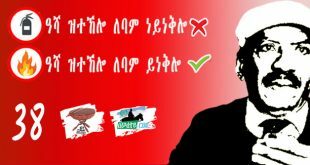 Many Eritreans are highly skeptical of the dreams, though they wish PM Abiy all the best as long as his ambitions are not accomplished at the expense of the Eritreans people. The Eritrean skepticism is rooted in the deep financial and economic crises Ethiopia is facing. By his own admission, PM Abiy stated that it would take ten years for Ethiopia to solve its hard currency shortages. Financial support from Saudi Arabia and UAE have strings attached to them and are limited. Over the last two years, Isaias oil-rich patrons (Qatar, Saudi Arabia, and UAE) have not invested significantly in Eritrea and given the drop of oil prices, it is unlikely they will invest heavily in Ethiopia. Last September, China restructured Ethiopia’s $42 billion debt after Ethiopia failed to meet three debt payment obligations in early 2018. In addition, Ethiopia, despite its alarmingly growing population, the job market has not expanded to absorb the youth, especially those who are graduating from the tens of colleges in the country. Moreover, the current Ethiopian ethnic entrepreneurship patronage system was proved to be prone to corruptions and unworkable in Ethiopia, let alone to work regionally or compete in today’s global economy. It is the same patronage system, based on EPRDF economic policies, that PM Abiy described as “corrupt in the head,” –still not disavowed by its beneficiaries– the ruling coalition. Simply put, the required financial means, critical governance structures, and operational experience to execute Abiy’s much-talked-about plans are simply not there. Ethiopia has its own gargantuan problems that Eritreans truly hope it finds a way to resolve. 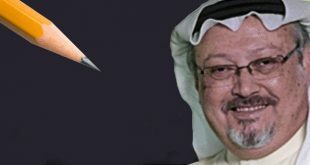 However, the fact that its problems hidden behind the favorable international media ambivalence that Dr. Abiy is enjoying might not last long, and as the recent Saudi tragedy over the case of Jamal Khashogji illustrates, one wrong move could easily undo all the PR efforts designed to cultivate a favorable public image. In 1974, when the BBC aired footage of starving Ethiopian children and reports by Jonathan Dimbleby, it did not take long for the international community to abandon Haile Selassie. In the mid-nineties, after the US army retreated from Somalia, the international media subscribed to the Clinton Administration’s search for a success story in Africa. That act led to its inaction in preventing the Rwanda massacre, yet it described the regional despots as Renaissance leaders. It did not take long for these leaders to ignite a disastrous war whose aftershock is still being felt in the region. Buried beneath the media hype, many Ethiopians are consuming themselves; unrest in Harrer, between the Amhara and Benshangul regions, between the Amhara and Tigray regions, between the Somali and Oromo regions, between the Somali and Afar regions, coupled with the insurrection of the Oromo in western Ethiopia. These are not signs of stability. According to the UNCHR and other reports, over 3 million Ethiopians have been internally displaced since PM Abiy took office in April of 2018. 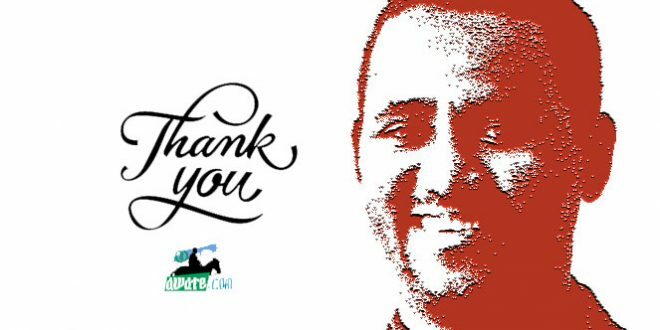 While the Ethiopian government media has been largely ignoring the humanitarian crises, the Ethiopian private media, which is largely controlled by ethnic-based political organizations, either amplifies or downplays the events depending on partisan interests. Often times, international media attention greatly influences the attraction and the flight of capital investment into a country or out of it. Hence, it is a double edged sword–it can easily help create a reputation as it can also easily destroy those who misuse it, or abuse it, or simply do not understand it. Responsible media and public relations campaign are necessary tools, not an end, to articulate any credible vision. However, governing should not be confused with a public relations exercise supported by fanfare, media blitzes, and smart crafty headlines. At the same time, the media is not totally influenced by rosy and big vocabularies. Buzzwords, big words, and eloquent speeches are temporary gains that could leave an uplifting impression on people’s minds and win them over in partisan rivalries for a limited time. Once again, PM Abiy better remember that Eritrea had been consistently an Achilles’ heel for of his predecessors and unless he fully recognizes and unequivocally states that Eritrea as an independent and sovereign state, his fate will be that of his predecessors. We believe the political alliance he forged with Isaias, whose sole aim is to destroy his arch-enemy the TPLF, will not help his efforts to solve the daunting economic and political challenges Ethiopia faces today. 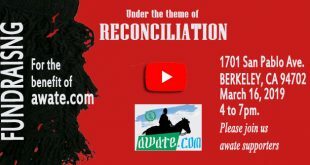 Nor will he be able to diffuse the current ethnic conflicts raging across Ethiopia; he cannot have a role in helping to keep Ethiopian unity. The recently renewed ethnic tensions coupled with the strong reactions to Jowar Mohamed’s statements criticizing the meddling of Isaias in Ethiopian internal affairs are foreboding cues of things to come. We are calling PM Abiy’s bluffs to remind Eritreans not to fall for the psychological warfare aimed at undermining our sovereignty as free people. 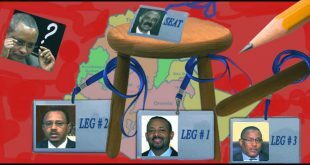 PM Abiy needs to remember that it is only Isaias who is being trapped in the quagmire he created for himself. It is only Isaias, not the Eritrean people, who is beholden to him for his newly found relevance. 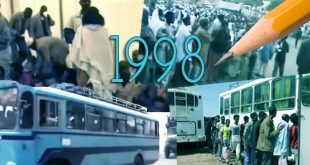 Through time tested resilience, Eritreans will continue to assert their legitimate rights, now and in a post-Isaias era, irrespective who is in power in Ethiopia. *an earlier error, eighteenth century, has been corrected to read nineteenth century. To tell you the truth, you are too obnoxious and acidic for my test. But I have an obligation to reply. You said “traitors”. Who are they? Remember- Alexandr Solzhenitsyn was a “traitor” according to the Stalinists. Ellie Wiesel was traitor according to the Nazis. Mark Felt who exposed Nixon was traitor according the Republicans etc…… History is full of such anecdotes but all of the “traitors” were absolved by History and Humanity. I am a proud veteran. I served my country as far as I can. I joined the struggle in my own free will with no expectation of any reward but death or disability. I did my service diligently. And I am proud Eritrean Patriot. People like you have no respect to Eritrean veterans and heroes. Eventually history will remember you as trashes and stooges. Greetings Aklilu; It is perfectly fine you feel that way about me, I don’t take it personally. First of all i didn’t mentioned the word ” traitor” and on that regard you are wrong. There is big difference between Traitor and defector. Traitor implies an action that harms the greater cause for personal or political advantages while defector implies quitting due to personal decision and lack of gumption to conclude the objective goal of the national cause. I have nothing but respect for the time and effort for trying and involving for those who tried but i have no ears when they degrade and humiliate to the people who conclude the objective goal. So, that where my beef comes from. remember it is immoral to disgrace to the people who gave it all and finished the call of the nation and i have the out most respect to those brave people. Having said that even for the defectors i am respectful because they have done something i never get to do. And I thank you for your service. My only wish is i wish the defectors stop degrading and humiliating to the braves who conclude the struggle to its conclusion. That all Aklilu. No offense, sir. But, are all defectors bad? I did not defect to the enemy. I just went to ELF an organization that fought for Freedom and Independence and continued my sacrifice until the end. Then of course to forced exile. Have you ever caught me bashing my compatriots in EPLF? 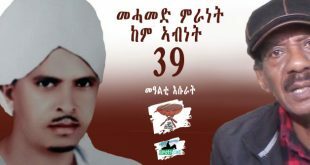 Actually what kept me alive until now is defending their sacrifice and advocating their unceasing suffering under the yoke of Nsu and PFDJ. This is the Moral Law that I always abide with. To make my stand clear: Nsu and PFDJ operatives are enemies of Eritrea. They are termites whose sole interest is power and the benefits of power. For the first time in their 27 years of controlling Ethiopia ,TPLF celebrated their 44 years of weyanay second without the PM of Ethiopia. The reflection of this year is that no one from Ethiopia care to come down to Tigria and dance 💃 them . 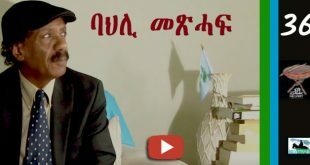 Getachew was in the circle of Abay weldu and other thieves of their small circle on top of that they are openly saying “ Ethiopian national song doesn’t represent Tigray” plus they are openly playing the game of victim hood from the change we saw in Ethiopia. I am sure there is no significant number of Tigrians died as a pay back of weyane crime in the vast majority of Ethiopia, but as always weyane are playing ጭጉራፍ ሲ ባዕላ ሃሪማ ተእዊ game . To tell their objection to the change in Ethiopia , they brought a known fugitive and a genocider who is synonym to hitler to the air where a camera can see the bloody Getachow Asfaha . Debrestion taking shots with the Old criminals of TPLF and are telling yes we are all criminals and no one can arrest us , it must be a painful day to majority of Ethiopians to see a criminal walk and breath air while Hundreds of people wiped because of his order . Ok let’s see go back , who are the spoilers of peace and wishing for war ? It is simple to get this out and people can see their face . U said “they brought a known fugitive to the air where a camera can see the bloody getachew asfaha”, this is 110% impossible! If it’s true(i know it is not) there will be a big consequence for it , but i know u lying. Show or tell us where did u see the videos????????? provide a link??? ?